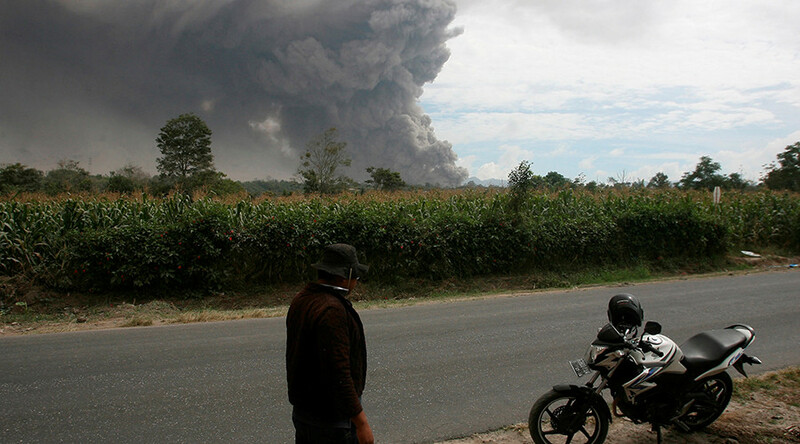 The Indonesian island of Sumatra is reeling after being struck by one of Mount Sinabung’s biggest eruptions of the year. 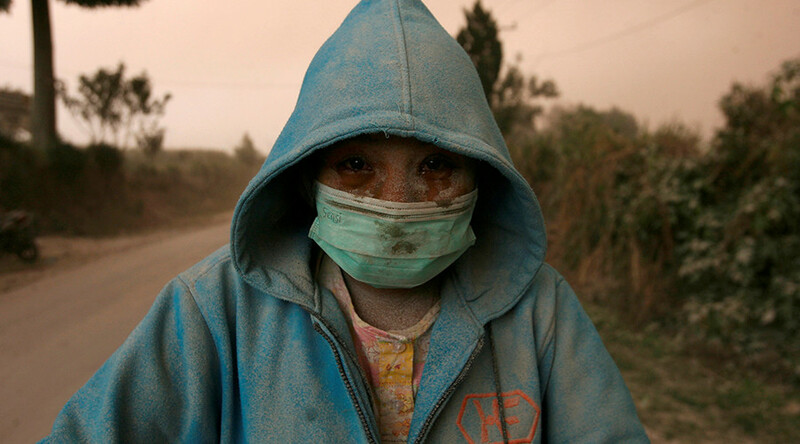 Villagers were pictured running for cover, as volcanic ash as high as 4.2km into the sky came raining down from the skies above. On Wednesday, the volcano erupted at least 19 times between 8am and noon local time causing heavy lava flows, volcano monitoring expert Isya Nurrahmat Dana told the AP. The immense array of blasts makes it one of the largest eruptions in a string of movements from the highly active volcano. 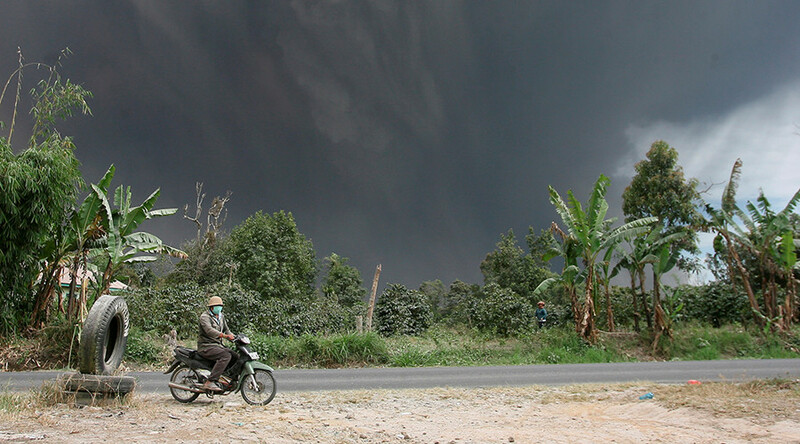 Hot ash ran down a 4.5km area surrounding the mountain, however there were no reported casualties. 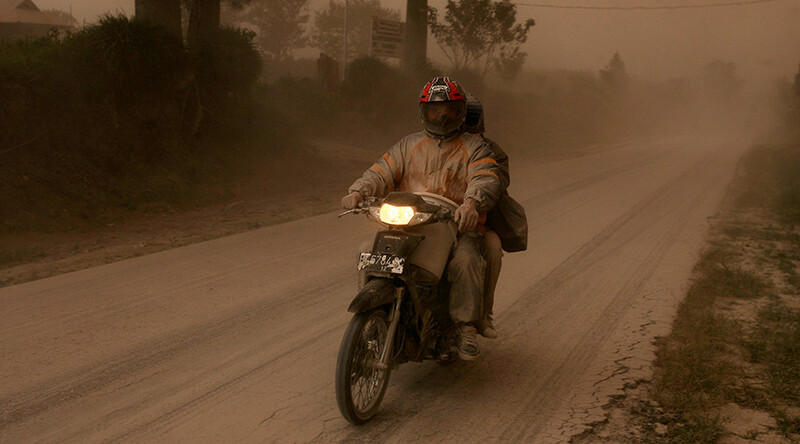 Thousands of residents from 10 villages in the region were directly affected by the falling ash, according to the National Disaster Mitigation Agency spokesman Sutopo Purwo Nugroho. The agency warned residents to steer clear of the 7km “danger zone” surrounding the volcano. The 2,460-meter (1.5 mile) high volcano ended its 400 years of dormancy in 2010.